Present day occupation of Palestinian, Egyptian and Syrian territory by Israel can be better understood with the background of Zionist territorial aims explicit in the declarations of the movement's leaders right from its inception. Theodor Herzl, the father of Zionism, in his book "Der Judenstat" (The Jewish State) drew the frontiers of the proposed state: "The northern frontier is to be the mountains facing Cappadocia (in Turkey); the southern, the Suez Canal." 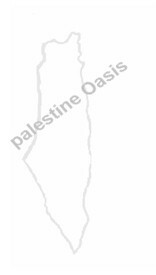 In 1919 the Zionist delegation to the Paris Peace Conference submitted a plan for the Zionist state which included Palestine in its entirety, Jordan, the Syrian Golan Heights, Southern Lebanon and parts of Sinai. 1. A Sovereign Jewish State which would embrace Palestine and probably eventually Trans-Jordan. 2. An eventual transfer of the Arab population from Palestine to Iraq. 3. Jewish leadership for the whole Middle East in the fields of economic development and control. Moshe Dayan as Chief of Staff of the Israeli army said on the Israeli radio on 12th February 1952, "It lies upon the Israeli army to carry out the fight with the ultimate object of erecting the Israeli empire." These are only a few of the declared objectives of Israel's leaders, the same leaders who to the outside world present themselves as doves of peace and examples of injured innocence.